Americana Daily: 10,000 Maniacs Announce Official Release Date of Their New Album and Offer a Sneak Peek! 10,000 Maniacs Announce Official Release Date of Their New Album and Offer a Sneak Peek! 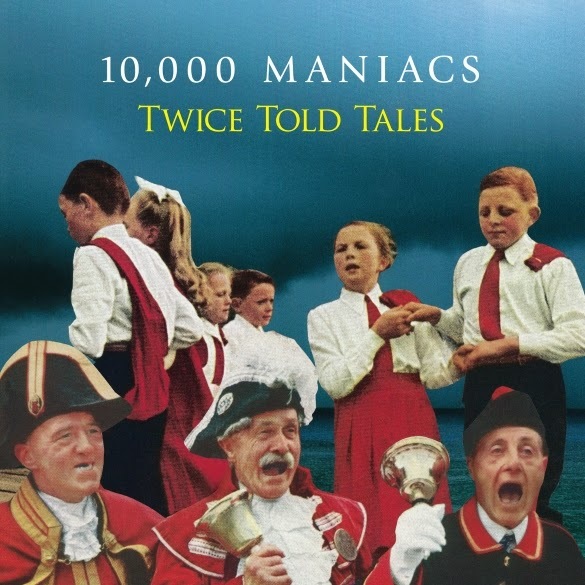 Having conquered the alternative rock world with multi-platinum selling albums and unforgettable singles such as “These Are Days,” 10,000 Maniacs are about to release the most ambitious album of their career, a full-length collection of traditional British Isles folk songs, titled 'Twice Told Tales', newly interpreted by the band whose organic, neo-folk sound has influenced countless others. The official street date for the album is April 28 and will be made available on both CD as well as a special 180-gram 12” vinyl format from Cleopatra Records! Founding member and keyboardist Dennis Drew explains the germination of the project, “Folk music of all types has been a strong influence on the band. One of the songs on the new record 'Do You Love An Apple' has been in our repertoire for 30 years. We've also recorded Carter family songs and other American, Irish and British Folk music in the past.” With that experience under wing, the group set out to create an entire album's worth of modern versions of traditional British folk classics that would fit right alongside the rest of the 10,000 Maniacs' body of work.